The warm days and sunshine lately have restored my faith that spring is indeed on its way. There is truly nothing better than working away at the farm under the blue sky - except maybe walking into the mini greenhouse and seeing the seedlings growing steadily each day. But in all honestly, there have been some cloudy days amidst all the sunshine. Throughout the last month I have wondered many times, "What the heck have I gotten myself into???" I think some people would love the type of projects that I've been doing lately... but I am not one of those people. Honestly, building projects are not something I enjoy or am remotely good at. But in the midst of exhaustion and frustration, I remind myself of a few things: (1) that I won't have to do this exact thing again next year because its all part of starting something from scratch (2) farming is hard and its not all about "playing with flowers" (3) while this is indeed hard, I'm living my dream each day (4) I have amazing mentors and resources at my fingertips. I'm certain that I will continue to have these same feelings throughout the season, no matter what farm project I'm working on. The beauty of all of this is that I am learning a lot and I am literally building my dream! The support that my friends have provided me with lately is making all the difference. I am incredibly grateful whenever someone asks if they can come help me at the farm. The encouragement of friends and family goes a long way! 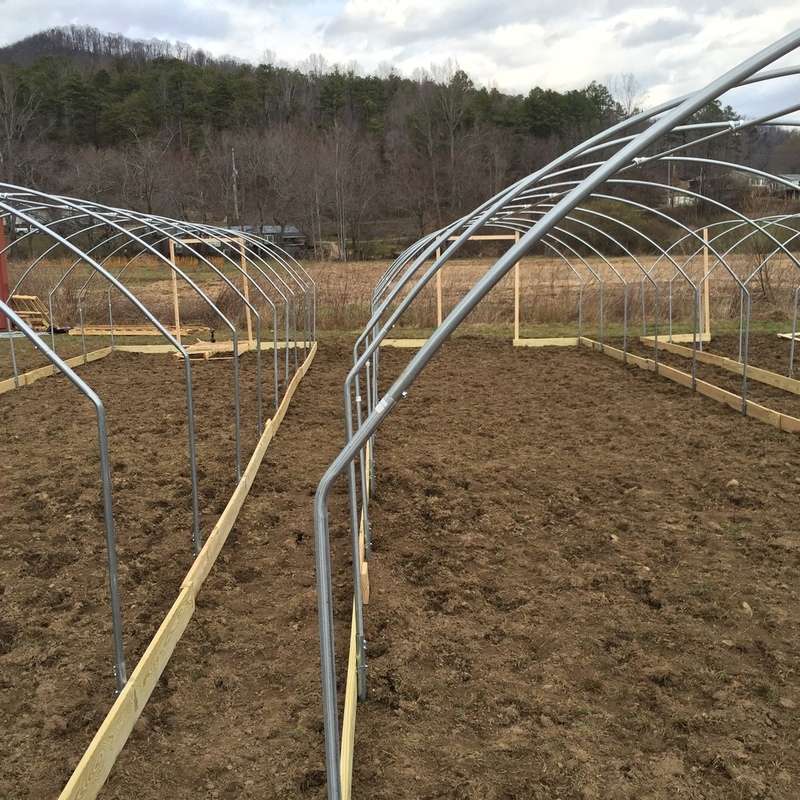 The hoop house frames are up and 1 of 3 already has plastic. After the plastic is pulled on all of them, I'll spread compost and do a final till, then run drip lines, lay down pre-burned landscape fabric and finally tuck my plants in the ground. A huge thanks to Floret Flowers for the amazing tutorial on growing with landscape fabric. After creating the templates, I've been burning holes in the fabric while jamming out to music in my driveway (I'm sure the neighbors think I'm crazy). This will help greatly with weed suppression (which is good since there's only one of me and a lot of weeds) and spacing for planting. So far I have templates for 9x9 and 12x12 spacing. I imagine that I'll add more in the future, but this should get me started. The mini greenhouse is jam-packed with seedlings! Watching all the seeds germinate and grow makes me crazy happy. So overall, I am making a lot of progress. Come out and see me today at ASAP's Annual CSA Fair! 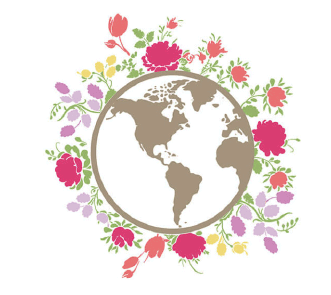 There will be 16 farms ready to talk about all the veggies, flowers, eggs and farm goodness we have to offer. The event is from 3-6pm at Jubilee! downtown.